Having some fun family time in the kitchen is always a favorite way to spend an afternoon in my house. The kids love being able to help Mom make different creations and when they are kid-approved, that means that they tend to stay interested in helping out for the entire recipe…not just for the first five minutes 😉 That’s why these Halloween treats your kids can make are high on the list over the next couple weeks. We love themed treats to make in our house and Halloween is always a favorite with the different spooky creations we make! These absolutely adorable mini spider donuts are very kid-friendly! DIY instructions can be found over at ItsAlwaysAutumn.com, but this is a great project to put together for the kids, and have them put the spiders into one piece through an assembly line. I love that they can be creative and add as many legs as they want, and they can feel free to make those little spider eyes any color candy they choose! 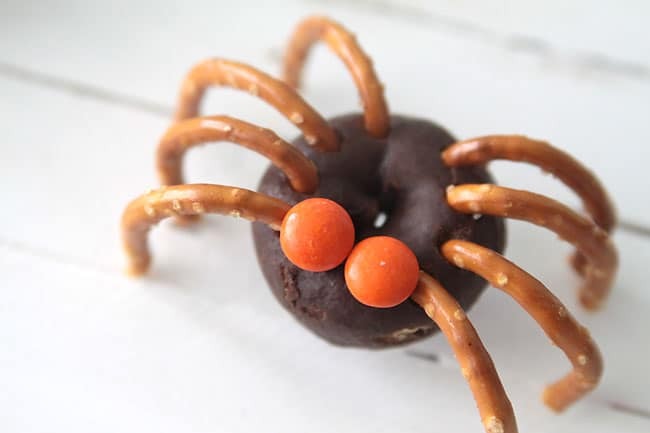 What a great project for them to make a yummy spider treat to take to school, along with having them use that creativity that you know they have! 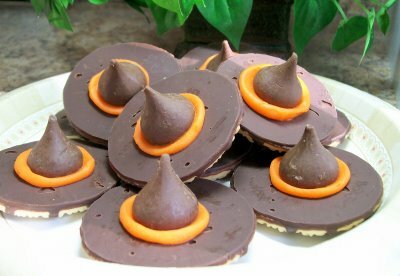 These amazing witch cookies, seen over at BettyCrocker.com, couldn’t be any easier to make with the kids! 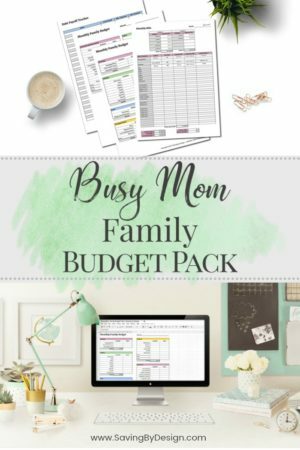 They are going to have so much fun putting these together and with only 3 ingredients needed, you don’t have to worry about spending a ton of time in the store looking for the ingredients. That sounds like a winner to me! The kids are going to love showing their creations off at the Halloween party they were invited to. How adorable! How could you say no to creating these cute little ghosts with the kids! Found over at Tablespoon.com, you’re going to have no problem creating these little masterpieces with the little ones! Your kids might want to get a little creative and dip the entire cookie in white to make it a full-fledged ghost. And that would be A.O.K! This is a great treat to make with the little ones, as there isn’t much that you’re going to have to worry about them doing. It will keep their attention and with easy steps, they’ll be able to keep up just fine! 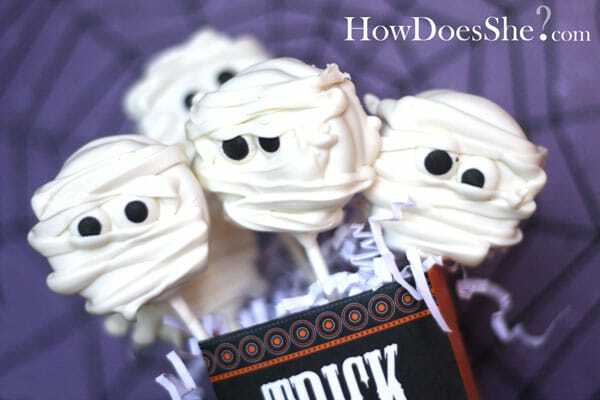 Who wouldn’t love coming home to these scary “Boo”-nana pops after a long day at school this month? 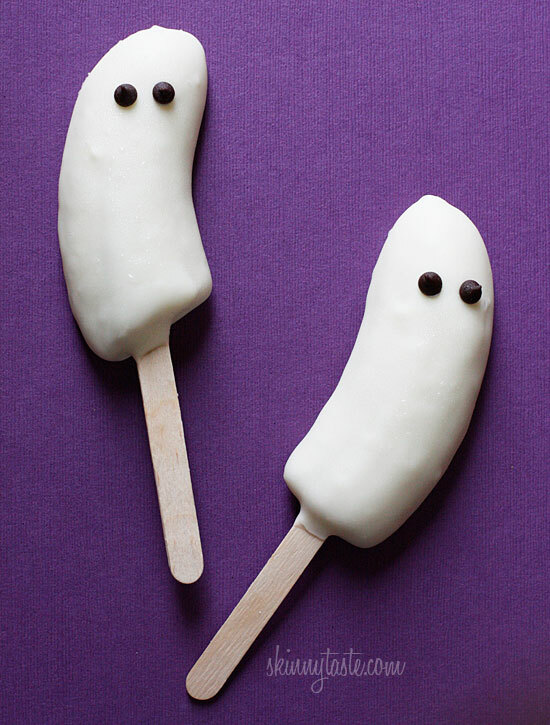 SkinnyTaste.com has a great recipe for dipping bananas in yogurt after throwing them on a popsicle stick, and than you’re free to add those scary eyes to get the full ghost effect! Throw these in the freezer after making them with the kids one afternoon and you’ll have some healthy after school treats for everyone to come home to. I’m all for that! 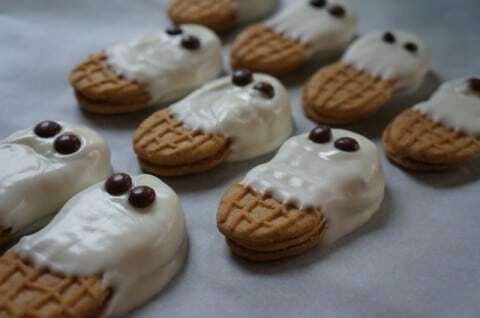 OK, these adorable Oreo Mummy cookies are about the cutest thing I’ve seen for a Halloween treat! And don’t be fooled, they may look a little more complex to make, but they are going to be great to make with the kids! The instructions over at HowDoesShe.com will walk you through every step you’ll have to take. And anything that involves Oreos, I’m all about! I just love those googly little candy eyes that are added after a step and they make it absolutely pop and come alive! Looking for another healthy after school snack that incorporates the Halloween theme for the kids this month? 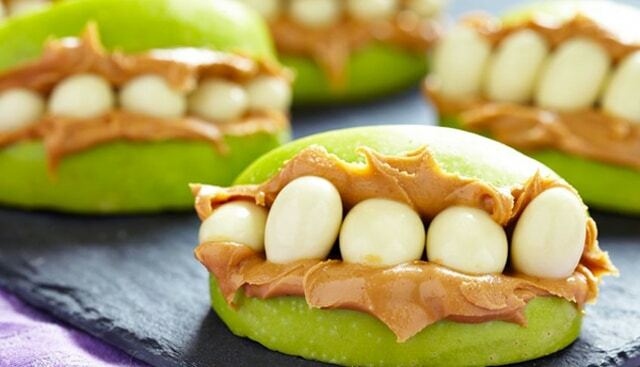 Than look no further than these Monster Apple Bites over at Fun2BFrugal.com! These are also a great snack for the kids to take to school that the teacher will like, as well. No chocolate and it’s healthy. Who doesn’t love that? The kids are going to love assembling their little monster mouths and will be excited to do it again before Halloween makes its appearance. How great! Have fun with these Halloween treats your kids can make! They will be so excited to help and these are perfect treats for them to take to a Halloween party too! I love seeing the kids act so proud of themselves after feeling the sense of accomplishment of a project gone well. Have a great time and enjoy these yummy creations for the spooky season! 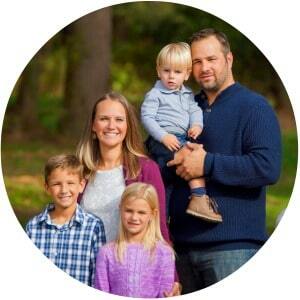 « Bella Gravida – Rent Your Maternity Wardrobe to Save! These are not only easy to make but look like fun that even your toddler could enjoy. Going to try some tonight.